Philadelphia’s polarizing district attorney, Larry Krasner, has stepped into the classroom. Krasner, who might be the most talked-about D.A. in the country since he was elected in May 2017 and instituted sweeping changes to the Philadelphia District Attorney’s Office, began teaching a course called “Prosecution and Defense in the 21st Century” in mid-January, according to the Philadelphia Business Journal. Keir Bradford-Grey, the chief defender of the Defender Association of Philadelphia, is co-teaching the course with Krasner. The course is a joint offering to law students at Drexel University, the University of Pennsylvania, and Temple University. “We’re fortunate to have national leaders in the criminal justice reform movement like Larry Krasner and Keir Bradford-Grey right here in Philadelphia,” Penn Law Dean Theodore Ruger said of the partnership. “I’m grateful they are willing to use their experience and expertise to educate the next generation of local law students." According to a Drexel release, classes will "cover a range of topics including: mass incarceration, charging decisions and bail, interviewing victims and defendants, participatory defense models and sentencing philosophies." Ruger, who’s been at Penn for 15 years, told the Business Journal it’s the first time he remembers the three law schools collaborating on a class. 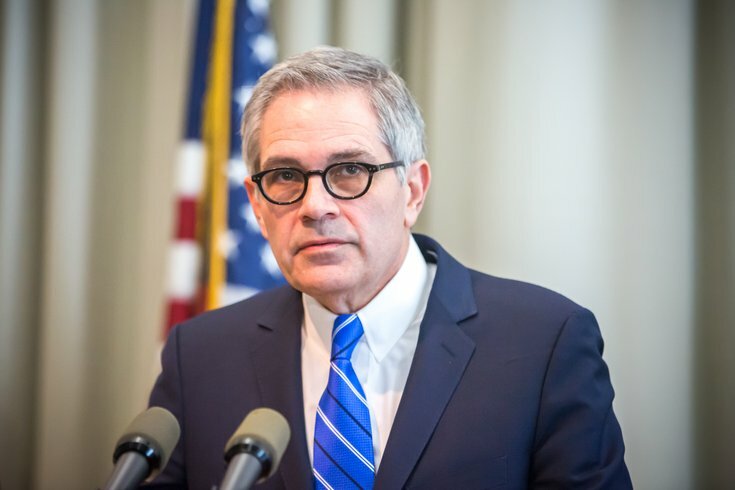 Krasner’s first 21 months as the city’s district attorney have been marked by a push for criminal justice reform, including the elimination of cash bail and a desire to overturn sentences of wrongfully accused prisoners.